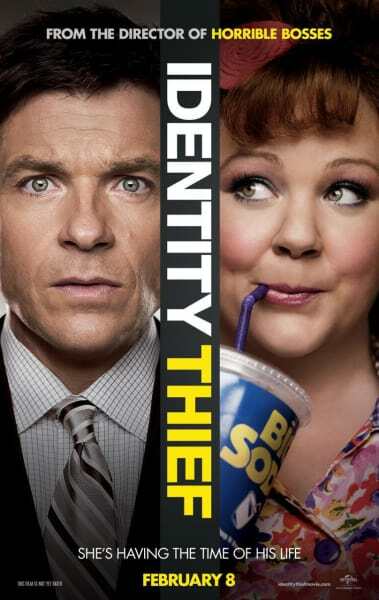 A new poster has dropped for the upcoming comedy Identity Thief. The film stars Jason Bateman as Sandy Bigelow Patterson, a man whose identity is stolen by a woman across the country, played by Melissa McCarthy (Bridesmaids). Amanda Peet, Jon Favreau (who we think would make a great Star Wars Episode 7 director), Genesis Rodriguez, Jon Cho, and T.I. also star. Seth Gordon directs, with a script by Craig Mazin. Identity Thief will premiere February 8, 2013. Watch the Identity Thief trailer for more.